Yet another tragic case of mesothelioma further highlights the need for asbestos safety services, including the safe removal of asbestos. A Chesterfield family is searching for answers after the death late last year of a former electrician and engineer due to asbestos-related disease. Norman Rhodes died aged 87 in 2015, but it was discovered only after his death that he had been suffering from mesothelioma – a form of cancer caused by exposure to asbestos fibres. Mesothelioma is a very unusual form of cancer in that it takes years, often decades for it to become detectable. This is why so many cases of this lethal disease have only been discovered in the last few years or so. Unfortunately, this is what makes the survival rate for mesothelioma so very low, with only 50% of sufferers surviving a year after their initial diagnosis. Norman suffered from regular chest infections, chest pains and difficulty breathing before his death, but was never officially diagnosed with the disease. Mr Rhodes worked at a range of companies in the Chesterfield area as an electrician or engineer until his retirement in the 1990s. His family is now working alongside Helen England, a specialist asbestos related disease lawyer at Irwin Mitchell, to find out more information on the circumstances surrounding his death. The family is appealing for any former colleagues of Norman’s to come forward and help. With many more cases of mesothelioma coming to light in recent years due to asbestos exposure that often only occurred many decades earlier, today’s health-conscious companies are advised to invest in asbestos safety services like those of Trident Asbestos Solutions, including asbestos removal management, surveying and air monitoring, in order to ensure their own employees’ and the public’s utmost safety. Trident can help manage asbestos removal utilising our experience dealing with asbestos removal contractors. By working on behalf of our clients we can ensure that they get the best possible service and quotes for any asbestos remediation works that may be required. A nationwide infrastructure support service provider has been penalised after risking the possible exposure to asbestos of staff and children at a Northamption primary school. 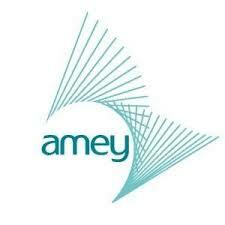 Amey Communities Limited (ACL), a part of the Amey plc company, was carrying out a roof refurbishment at Lings Primary School in Hayeswood when the incident occurred. Workers from ACL disturbed asbestos insulation boards in a small plant room, creating the risk of harmful asbestos fibres being released into the air. While asbestos is fairly harmless if left untouched, grave long-term complications can occur when the fibres are inhaled. Thankfully, it is understood that a school caretaker acted quickly to secure the class of children in the next room in response to the incident on Thursday, November 6. The area was then cordoned off for the remainder of the day. A range of safety checks and tests was carried out, which saw the school closed entirely for a day. Thankfully, all of the tests and checks came back negative, indicating no risk to anyone in the building. However, this incident did not come without consequence for the company at fault. The Health and Safety Executive (HSE) launched an investigation into ACL, concluding that it had failed to identify and monitor asbestos materials or ensure that its key workers had undergone suitable asbestos awareness training. ACL pleaded guilty at Northampton Magistrates’ Court and was fined £20,000 and ordered to pay costs of £1,737. We couldn’t agree more here at Trident Asbestos Solutions, which is why we offer a wide array of asbestos-safety related services to give your firm assurance at every stage of the construction process. 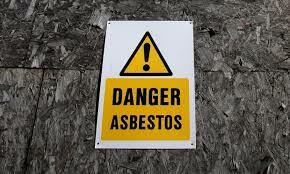 These services range from asbestos air testing and refurbishment and demolition surveys to asbestos compliance checks. For more information or for a free, competitive quote, please contact Trident Asbestos Solutions today. A 69-year old woman from Widnes is appealing for information after her husband died from mesothelioma – a form of cancer that affects the lining of several internal organs and is caused by exposure to asbestos. 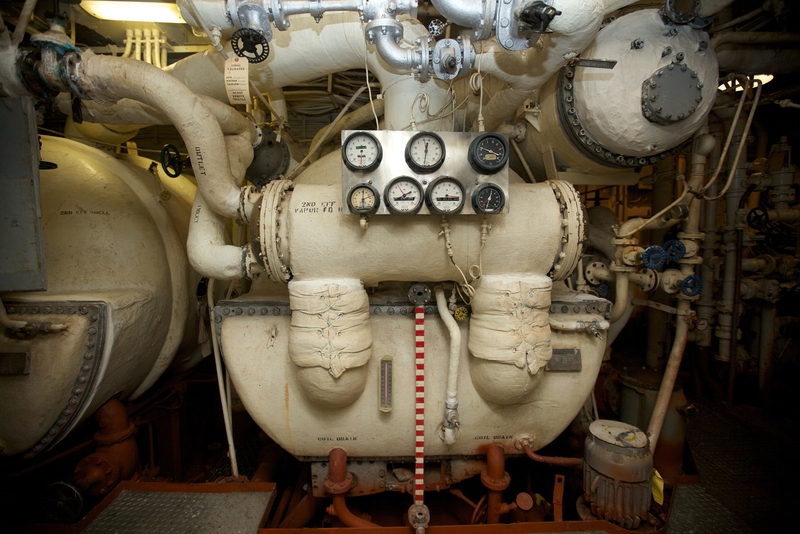 Frank Holland worked an eight-year stint in the Merchant Navy, where he tended to work in the boiler and engine rooms of the ships. He worked on various ships during his time there, including The Araby, MV Herdsman, MV Nova Scotia, Roscoe and Esso Tankers. After he left the Merchant Navy, Frank worked as an HGV driver, aside from a three-year spell at ICI’s Weston Point Salt Works in Runcorn in the 1970s. He fell ill at 72 and was soon diagnosed with mesothelioma, which is primarily caused by exposure to asbestos fibres and can affect various vital organs including the lungs, stomach and heart. It has a very long latency period, which means it can remain undetected in the body for decades, as was the case with Mr Holland. The overall survival rate for mesothelioma is extremely poor, but can vary depending on age, how early it is detected and where the cancer is located within the body. Frank died two months after being diagnosed. His widow Jen is now appealing to his former colleagues for more information on where he could have become exposed to the asbestos fibres. She stated that “in those days the pipes on ships were always lagged with asbestos, but no one thought anything of it then”. Nowadays, more and more cases of asbestos-related diseases are coming to light. Fortunately, we are also much more aware of the dangers of asbestos and what can be done to remove it from working or living environments. Trident Surveying offers a wide array of asbestos safety-related services, including asbestos air testing, asbestos surveying and on-line awareness training. For more information about how such services could benefit your organisation, please feel free to contact us.